Andy joined us in 2014 without any experience in the modelling world, but his attitude and determination to succeed was clear! Andy has continually kept his portfolio update and contacted is coordinator occasionally for updates. Since being on the books at Models Direct Andy has been successfully selected for several different assignments, photographic shoots and most recently filmed the latest commercials for Dulux and has made it to our screens – that’ s a big deal!! 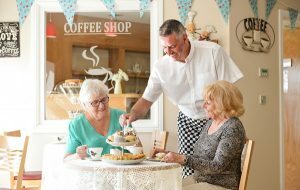 A final image from Andy’s photoshoot with Ideal Carehomes. Andy also did some filming work with Wex Photographic, this is great experience and enabled us to put him forward for other filming work! Most recently Andy has been filming the new Dulux commercials – you can see what Andy has to say about his experience in his feedback video at the beginning of this blog. This is a huge achievement, we received really positive feedback from the client about Andy’s performance and attitude towards the assignment – This means the team at Models Direct can confidently put him forward to larger clients for work in the future! This entry was posted in commercials, filming, male model, modelling, Models, Models Direct, success and tagged commercial modelling, commercials, male model, male modelling by The Models Direct Admin. Bookmark the permalink.